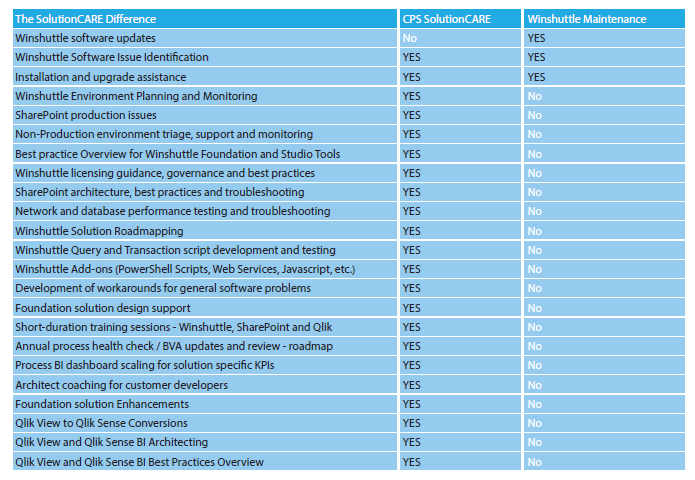 If your IT resources are busy there is no better support service than CPS SolutionCARE. Our senior architects are available to assist you with everything from Winshuttle to Process BI to SharePoint and more. CPS SolutionCARE has been used by many of our customers for years and it now comes with three more tools: CPS SmartMonitor, CPS SmartAdmin, CPS SmartAPI. CPS offers 5 free hours to any new SolutionCARE customer. Click here to get started today! "The SolutionCARE offering made the issue-to-resolution process super smooth and added value to Winshuttle Workflow Maintenance the product itself." "CPS has been an invaluable partner, helping us to overcome some complex workflow solutions. If you are using Winshuttle and have complex issues to overcome I would highly recommend using CPS." - Jim Polley, Raytheon Co.